DONEGALDAILY DEAL OF THE DAY – KIDS EAT FREE AT THE BREWERY IN LETTERKENNY! 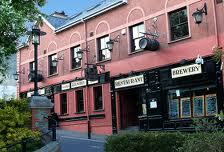 The Brewery Bar at Market Square in Letterkenny has been part and parcel of town life for many years now. And to play their part in the festive season being officially launched with tonight’s Christmas lights switch-on, the bar has done it again. Michael Blaney and his staff know the importance of family life and that is why the Brewery enjoys a reputation of a real family bar. To mark the occasion Michael and his staff are putting on a very special deal for all their customers. Later today for every two adults who enjoy a main course from the bar food or A La Carte menus will then up to four children will eat free. It’s an unbelievable deal but typical of the service, quality and extra mile The Brewery goes in bringing their customers value for money. A brassiere style Lunch menu is served daily, with a Bar Food menu available from 3.00pm. Come evening, dine in style in the upstairs restaurant, where a superb, freshly cooked meal from our full å la Carte menu awaits you. Due to overbooking and Christmas parties we a sad to announce that our very popular Friday Night Steak Night has been postponed for now and will recommence in early January. Full bar food and a la carte menu still available. Don’t forget folks a massive 10% discount of all bookings for Christmas mid-week parties. Why not check out our New Years Eve Five course gala dinner with live entertainment in the upstairs restaurant. Limited numbers available only €39.955pp. To book call 074 9127330 or click on our Donegaldaily.com advert.